Photo: The Government of Moscow. Work is almost complete on two new Moscow Metro surface stations that have been inspired by prominent stations from around the world. 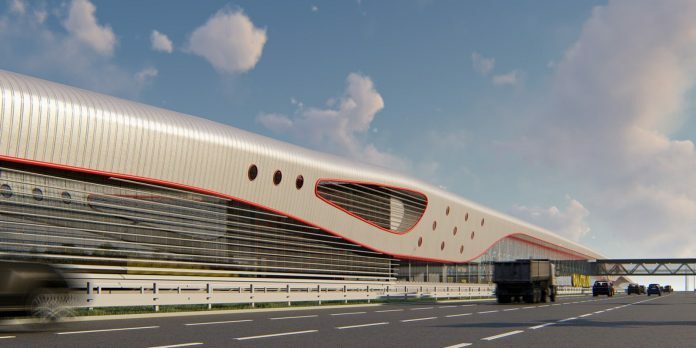 Architects working on the designs for Filatov Lug and Prokshino have been inspired by: Waterloo station, London, which opened in 1848; Pennsylvania station, New York, which opened in 1910; and Kievsky station, Moscow, which opened in 1918, according to the Government of Moscow. The stops, situated to the soutwestern part of the capital city, are two of four new stations on the 11.6km Kommunarka extension of the Sokolnicheskaya line, which is set to open by 2020. 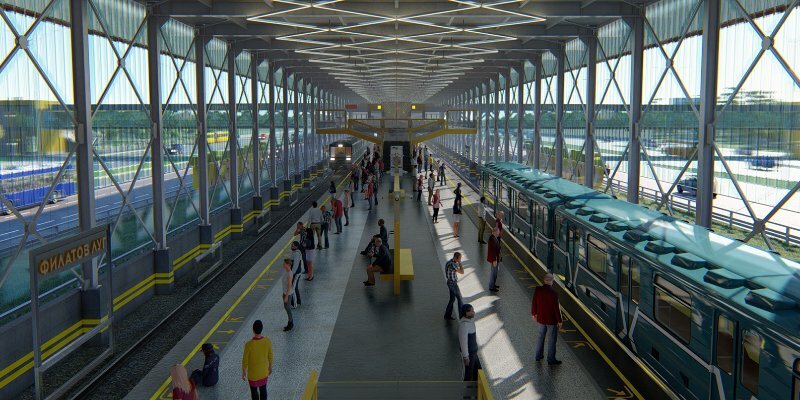 The new stations will be covered and have glass walls and ceilings – much like the three historic stations that were studied – to allow natural light to pour in. In addition, the platforms of the new metro stations will be decorated in off-whites and the exits and ticket-offices will be bright red and yellow. The architects’ idea is that the combination of light and bright colours will attract passengers’ attention and help them to guide them around the station. Other stops on the Kommunarka extension are Olkhovaya and Stolbovo, both will be underground stations.